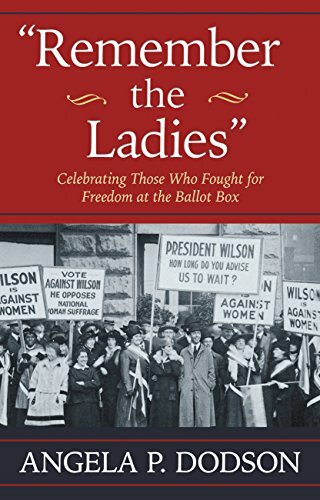 Angela P. Dodson – Author of "Remember the Ladies: Celebrating Those Who Fought for Freedom at the Ballot Box." It is full of little-known facts. For instance: When the Second Continental Congress of the thirteen colonies convened to draft the Declaration of Independence, Abigail Adams admonished her husband, John Adams, to “remember the ladies” (write rights for women into the laws for a new system of government! ).